Combined day & night deeply hydrating and regenerating face cream. 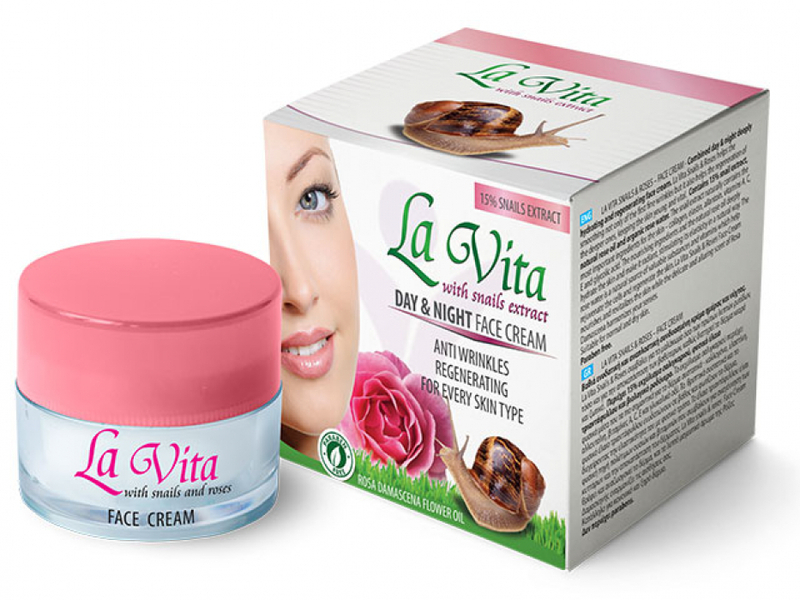 La Vita Snails & Roses Face cream helps the smoothing not only of the first fine wrinkles but it also helps the regeneration of the deeper ones, keeping the skin young and vital. 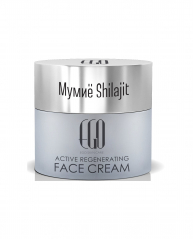 Contains 15% snail extract, natural rose oil and organic rose water. 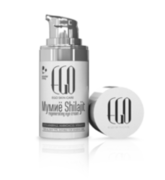 The snail extract naturally contains the most important ingredients for the skin – collagen, elastin, allantoin, vitamins А, C, E and glycolic acid. The nourishing ingredients and the natural rose oil deeply hydrate the skin and make it radiant, stimulating its elasticity in a natural way. The rose water is a natural source of valuable substances and vitamins which help rejuvenate the cells and regenerate the skin. La Vita Snails & Roses Face Cream nourishes and revitalizes the skin while the delicate and alluring scent of Rosa Damascena harmonizes your senses. Suitable for normal and dry skin.